The above page is from the school that my grandmother would attend--but unfortunately she was only 4 years old in 1926, so she was not yet in school. Use the index to towns here. Make sure to use the Polish spelling of the town, not the modern-day spelling. Assuming you find your town or one nearby, note the volume number and page number from the index. Go to this page and find the volume you found above. Then find the page(s) for your town. 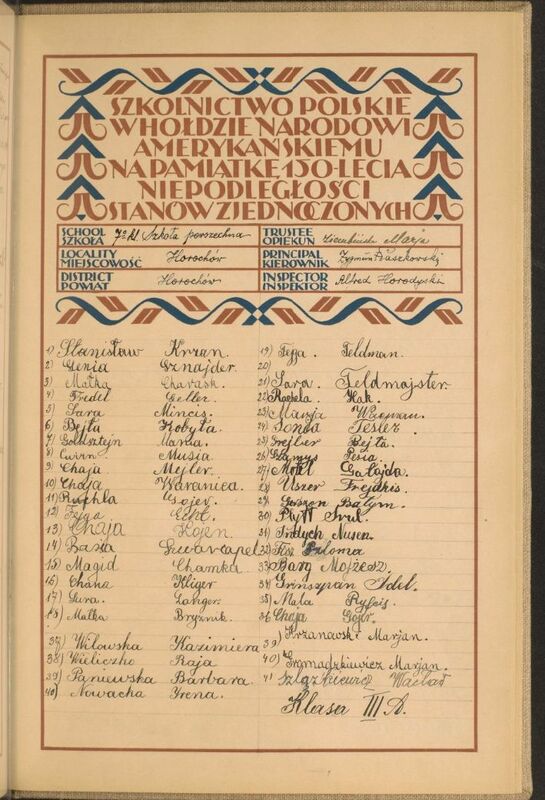 Page of signatures of schoolchildren in Torczyn, Poland (now Torchin, Ukraine), 1926. Lejzor Garber is likely related to me. Because 1926 falls in between generations of my immediate family being in school, I haven't found many known relatives (yet). 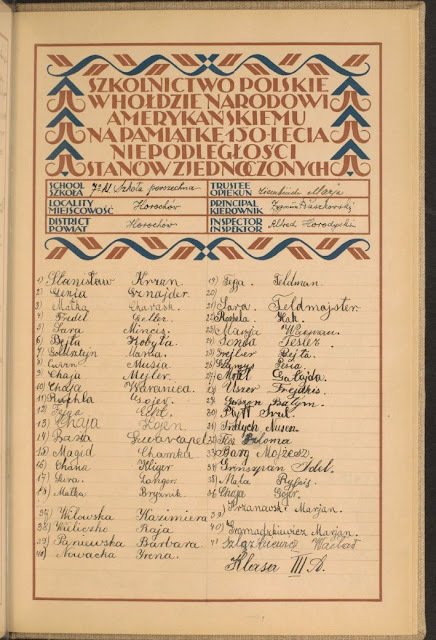 But hopefully this information will help many others find signatures of their family members and be able to definitively place them in a particular town in 1926. Comment below if you find anything! Thanks! I found a first cousin once removed, in Lomza, Poland. 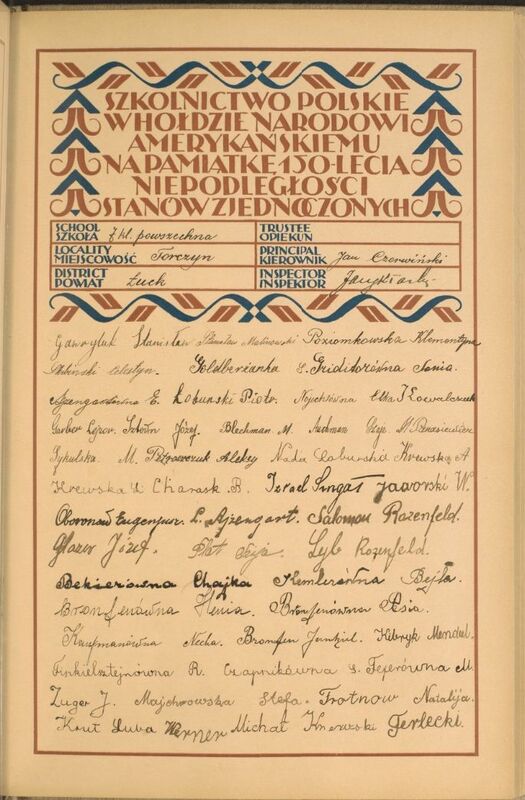 I found my father’s signature as a 9 year old boy. Such a blessing. I'm so glad you found his signature! I found my father’s signature. Such a blessing. Thank you. Thank you! I followed a link to this page, and it has been priceless. It's very poignant to see my aunt's name in what would have been her seven-year-old handwriting. Also discovered on the same pages some names that can help me, I believe, in my genealogy search. Again, thank you! I found my dad's younger brother Iwan's signature in the page for Kasperowce. Very moving as he was later conscripted by Red Army and died of starvation in a German POW camp in East Prussia. Oh, I'm so happy you found that!